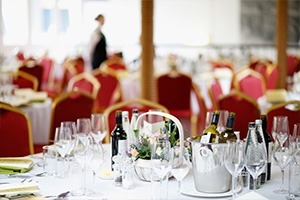 Eventmasters are delighted to offer the finest Royal Ascot hospitality packages from the wonderful Old Paddock Restaurant from Tuesday 18th – Saturday 22nd June 2019. We are thrilled to announce that in 2019 we will once again be providing official Royal Ascot corporate hospitality packages as an Official Hospitality Supplier (OHS) appointed directly by Ascot Racecourse. 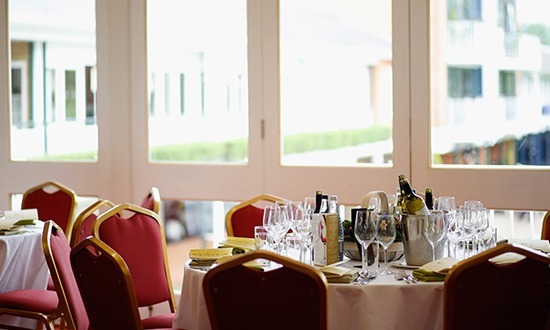 Set within the original racecourse building, the Old Paddock Restaurant offers a splendidly relaxed environment away from the masses and provides a unique position overlooking the horses and saddling boxes in the Pre-Parade Ring. This picturesque setting allows guests to see the horses leave the Pre-Parade Ring before they head onto Ascot Racecourse. Savour the action, fine dining and much more with this delightful hospitality facility. Arrival sets the tone for the day with a sumptuous Prosecco reception before guests then enjoy a fabulous three-course luncheon and afternoon tea. Bookings can be made for a minimum of two guests, with private tables available for parties of eight or more. The Old Paddock Restaurant is a delightful hospitality facility offering guests an escape from the hustle and bustle of the event, with views overlooking the prestigious Parade Ring. I certainly will not forget this one in a hurry. From the word 'go', myself and guests were treated to a truly wonderful day of sporting and social entertainment.